Hailing from South Carolina, American newcomers Behind The Sun are debuting in the metal world with their own take on progressive death. It’s an approach which isn’t immediately recognizable or comparable to their contemporaries. For any of the readers who have read my previous reviews, originality and depth is big for me. On their debut EP Post Solis, the quartet have put forth a polished and mature effort that would should be the envy of anyone looking to get their feet wet in the progressive spectrum. Let’s be clear; this is prog that breathes and isn’t about being flashy and demented. They’re here to tell a story with their music, and isn’t that what great prog is all about? So after enlisting the help of famed producer Jamie King, the band have cultivated five songs that are interesting, explorative, and exciting to listen to. 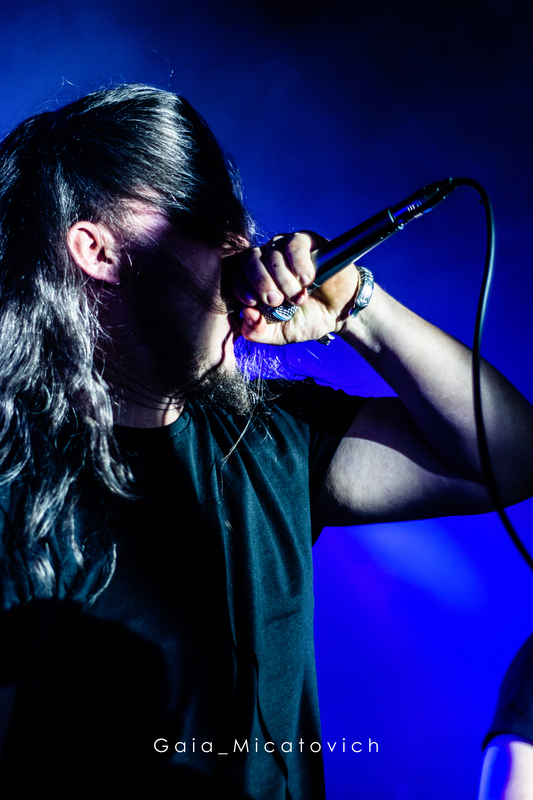 ‘The Fall’ introduces us to their sound, and it’s immediate with hyper riffing and crazy harsh vocals. They slow down with an eerie and powerful section that lurches forward before going back to the opening paces of the song. They trade back and forth on this approach for the entirety of the track, switching up their passages along the way. This sound is a great marriage of thrash and death in a progressive delivery. There’s great intent on ferocity with technical aptitude in their approach. ‘Pangaea’ puts forth a mid-paced prog groove right out of the gate with a particular attention in detail to pacing and not going crazy all at once. Developing the sound is what they are priding themselves on. There are riffs/grooves for days on this with well placed guitar notes and drum and bass accompaniment. The stop-start mentality works well, creating emotion and making the listener not being able to guess what’s next. ‘Scrawlings Of The Architect’ is purely instrumental with keyboard and effects providing a calming mid-point break of the EP. ‘Periapsis’ is a short track which starts off with a single bass line which is built on with guitar plucking and low-key drums. It moves into a controlled bombast that shows the technical side of the band is not lost on the shorter songs like this one. We wind down with ‘Laniakea’, which has a lulling guitar-chord approach with distant vocals starting off this track, being almost atmospheric in some ways. It quickly moves into the death approach that the band has given us on this collection of songs, rich in emotion and potent in talent and mystery with where the song will take you. One of the most welcoming aspects of the band’s sound was that I wasn’t sure what I’d get next, and that’s impressive to me. What’s great about what I hear is that they take a progressive approach to metal without clearly siding with one particular influence, which in this day and age seems to be a minority accomplishment for quite a few new bands. I also notice a certain seamless flow with the music. You don’t necessarily know what’s coming next, and that’s comforting within a progressive landscape that can, for all intents and purposes, become rather predictable at times. It’s apparent to me that Behind The Sun has all the tools and know-how to build an exciting and deep musical structure to take from for years to come, and that musical maturity will the biggest component to their success in the metal world.